but found that God was expecting him. “Well I have just been hit by a miracle today. As many of you will know even though I have been working still with my singing, I have been struggling the last several months with a health problem. I have been praying like mad over the last few days while walking alone on the river walk in [my] town… asking God to help me and heal me. This morning I walked with my wife along the river again, and then went to [Wither]Spoons for brekkie. 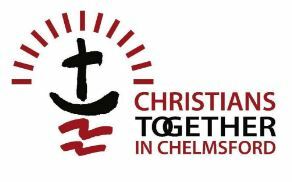 After, it was suggested to go to Chelmsford, to which I said NO! But when walking towards home a bus came by, so we got on it. When there, I walked off on my own. I was then heading towards the Cathedral and with the fab puffy clouds in the sky against a blue sky I thought I would get some great pics. Once I had taken them I decided to go inside and get some more pics…. even though I had NEVER been in there after living over 40 years locally. Once in I asked this guy with a badge on if I could take pics in there, to which he said YES. After taking about half a dozen, I suddenly realised that the guy was as old friend called David Gilbey, who I used to go the [same] church with about 20 years ago. He said he was there only a few times [twice] a month to pray for people with problems! I told him of my health issues, and he said he would pray for me there and then, but told me [first] to go into the corner [of the Prayer Space which was in St. Peter’s Chapel that day] and have a talk with GOD, and write out a note with what I needed God to do, and put that note into the gold bowl [see explanation under below photo]. I wrote out my note, and asked God to touch me, heal me, and to show me somehow HE was there for me ! 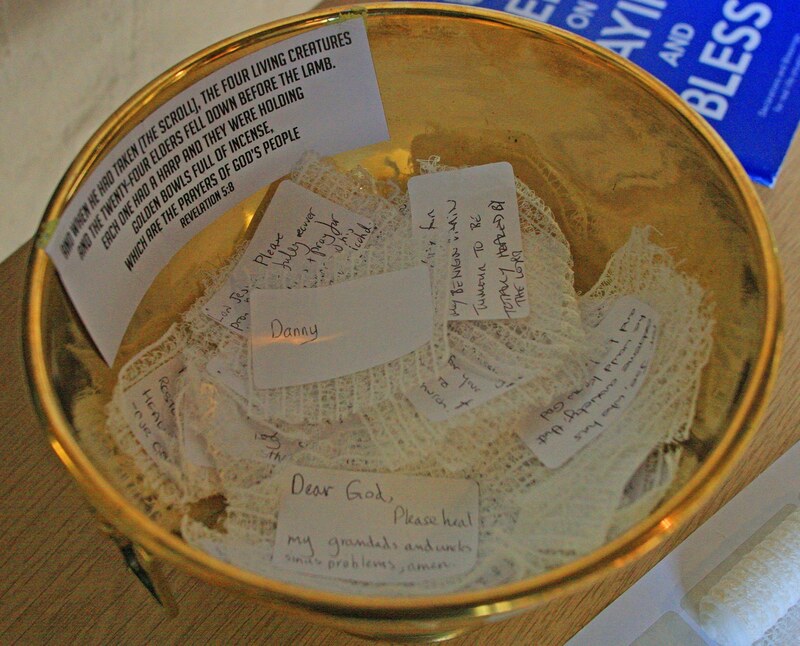 As I went to put my note in the Bowl… I looked into the bowl and in the middle of a pile of about 100 prayer requests was a single bit of paper with ONE word on it…. and simply written was DANNY. THIS one JUST my NAME ! As I said, I had not planned to go into the City, I had not planned to go to the Cathedral, did not know I would meet an old friend, and have my name there on a single bit of paper ! My friend then prayed a powerful prayer for my total healing, and I trust that this meeting and prayer though unplanned , was meant to be for me . The story was then told to the Canon of the church who prayed for me as well. Please see that piece of paper in that bowl with my name on…”[AND, WHEN DANNY LOOKED AT THE PHOTO HE’D TAKEN, IT WAS UNDERLINED IN A STROKE OF GOLDEN LIGHT!]. 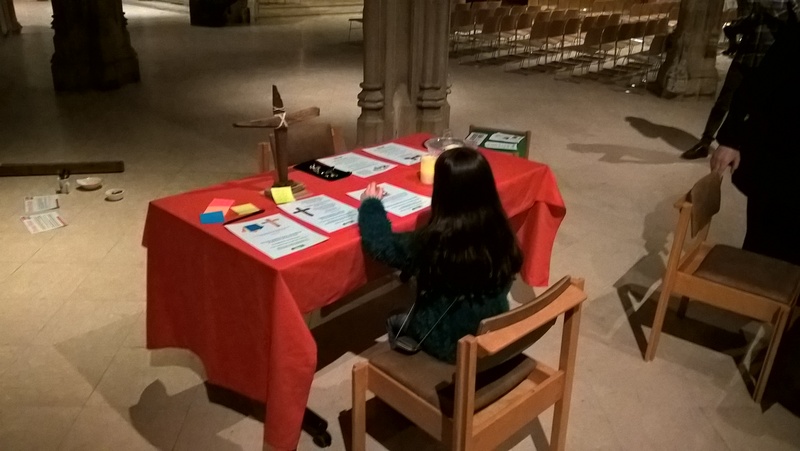 This ‘Prayer Station’ represents the Golden Prayer Bowls mentioned in Revelation 5:8. Where prayers rise like an aroma to the throne of God. 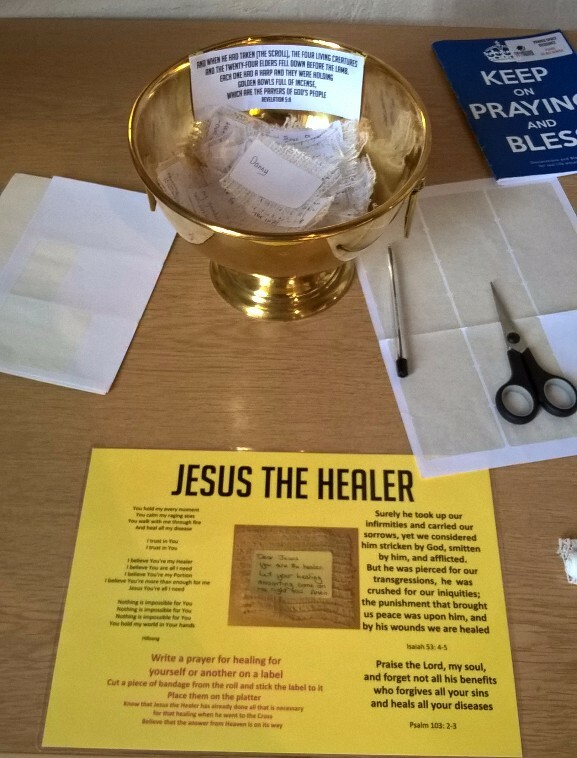 People often write a prayer for healing on a label, stick it to a piece of bandage and place it in the bowl. The label with just ‘Danny’ written on it was already there that day and ‘just happened’ to be at the top. The more you think about how God set this up, the more amazing it becomes. There are many references in the Bible to the fact that God knows us personally and individually. And here was proof demonstrated right here in our own Cathedral. It was almost as if the finger of God had underlined Danny’s name. Click here to download a pdf file of this testimony – feel free to pass it on to others as an encouragement. Previous PostA Sign from HeavenNext PostA Spacious Place, a change in season?